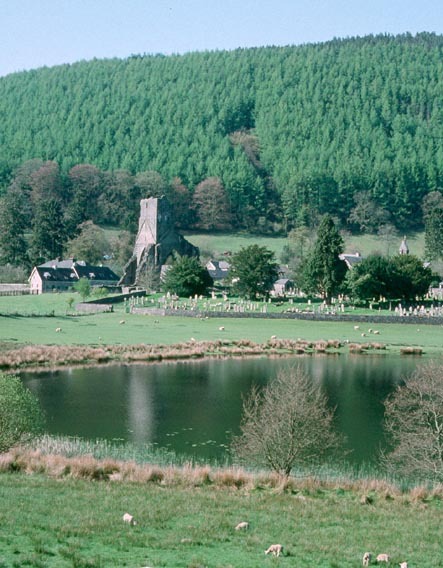 Because of the fear that coniferous woodland planted on steep valley sides would be purchased by a commercial forestry operation and clear-felled so adversely affecting the setting of the historic village and medieval Abbey of Talley, the local community examined ways in which the woodland could be acquired and managed commercially but also in a manner that would benefit the environment and provide an amenity for local people and visitors. Acting as a facilitator for Talley Community, Antur Cwm Taf/Tywi first commissioned a study into the economic viability of the woodlands. Following this, they commissioned Archaeoleg Dyfed Archaeological Trust to undertake an historic landscape study and archaeological audit of the Talley area in conjunction with a ecological study of the woodlands and environs, carried out by West Wales Wildlife Trust, and a further commercial forestry audit, by Hugh Wheeldon & Co, Commercial Foresters. It is intended that the reports will be used as a basis for attracting grant-aid from a variety of funding bodies.